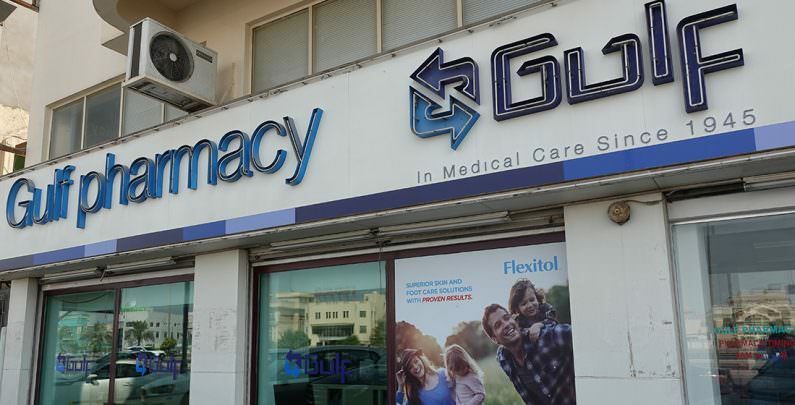 Gulf Pharmacy is conveniently located in Tubli. Bldg 119-D, Road No. 13, Block 711, Tubli, Kingdom of Bahrain.